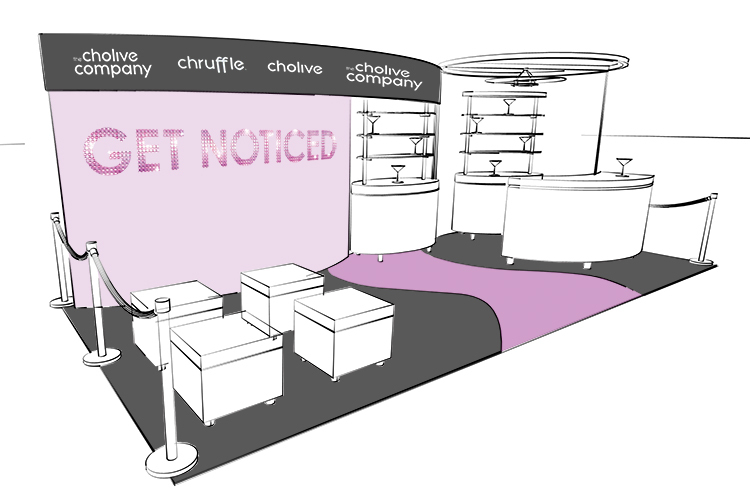 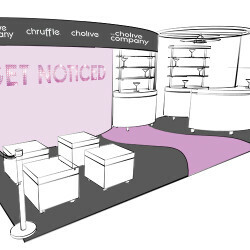 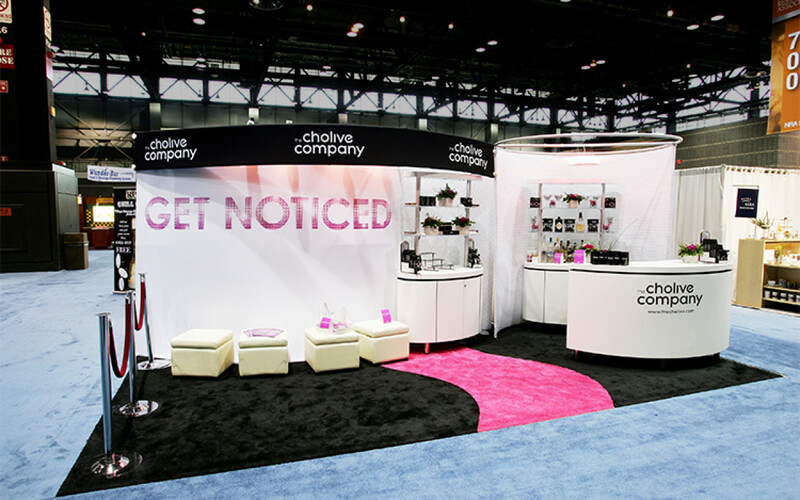 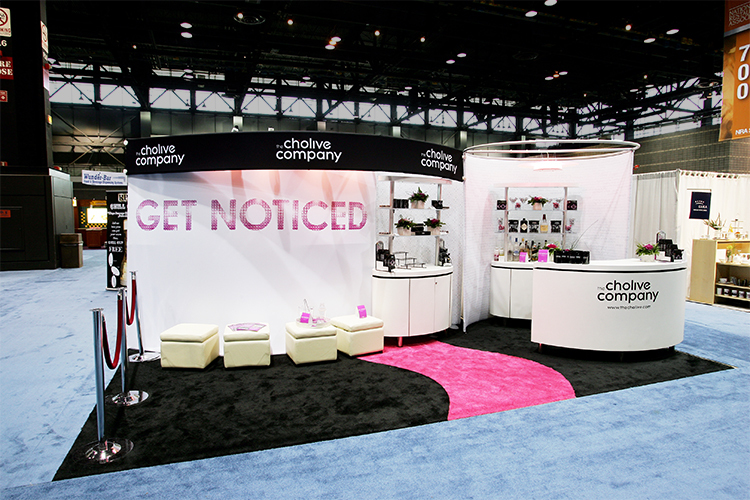 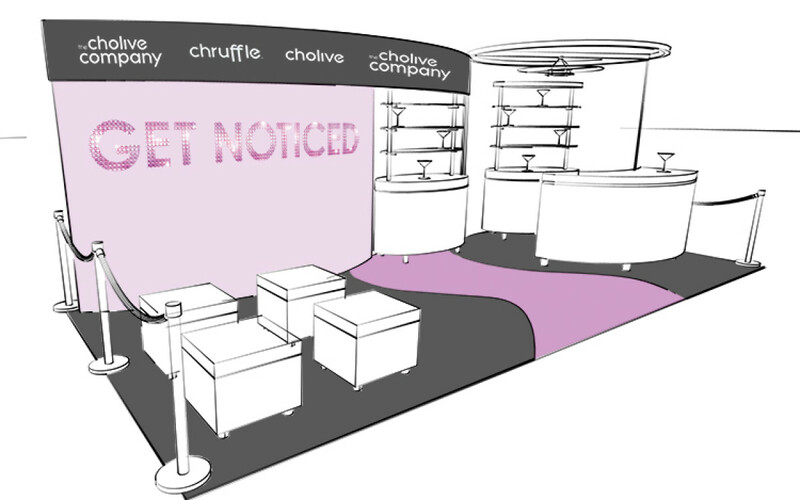 Get Noticed with a total custom, high end hybrid exhibit. 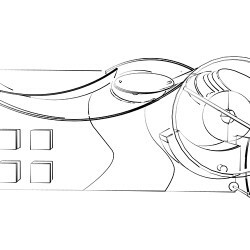 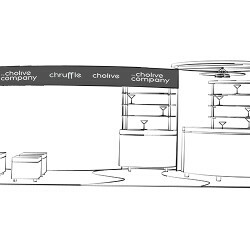 The custom, high-end hybrid 10 x 20 inline display uses lightweight, curved aluminum and fabric structures combined with contemporary product display counters and components. 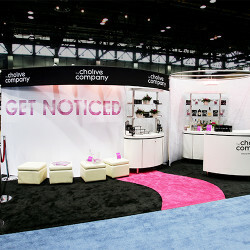 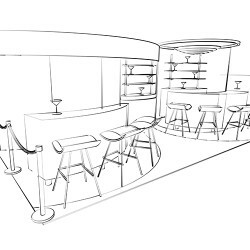 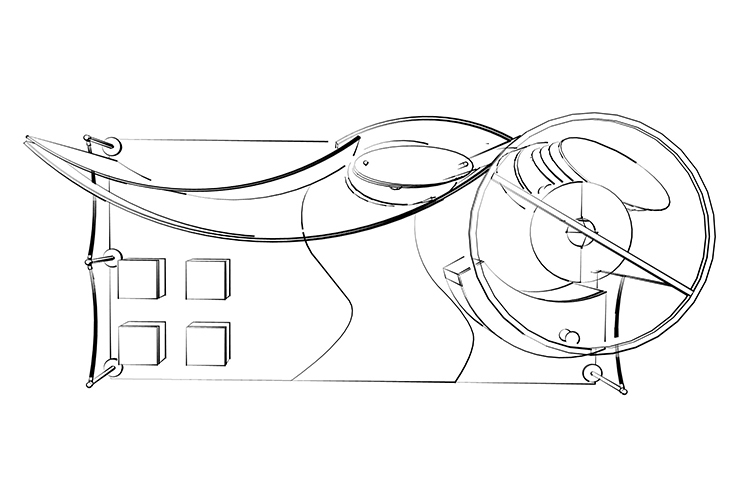 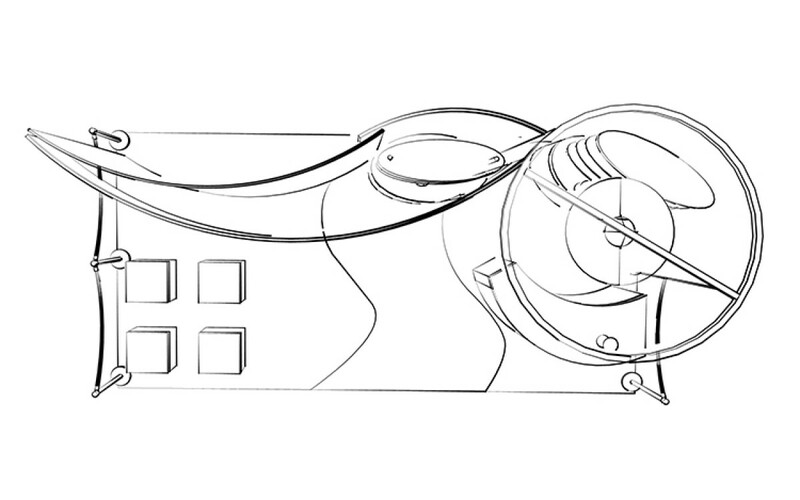 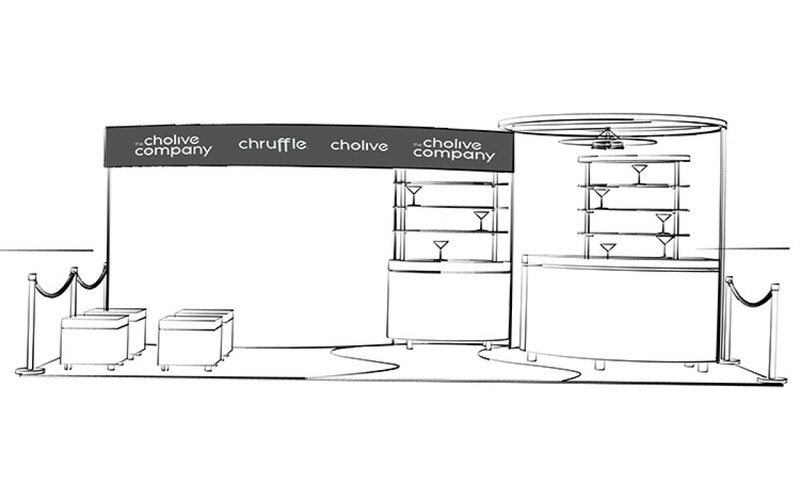 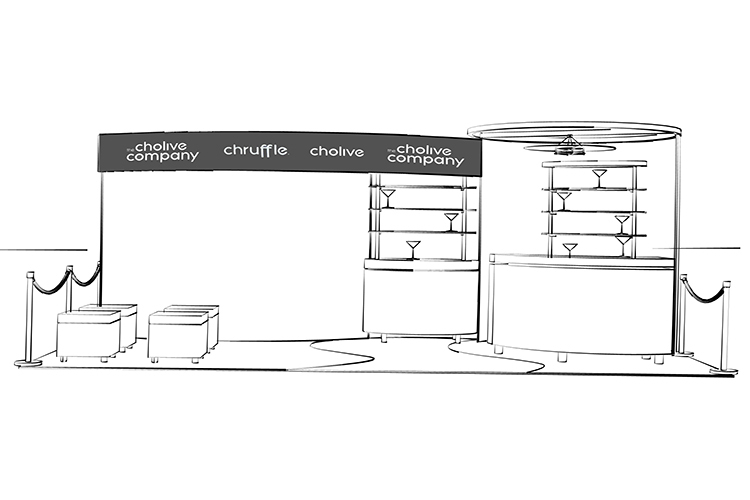 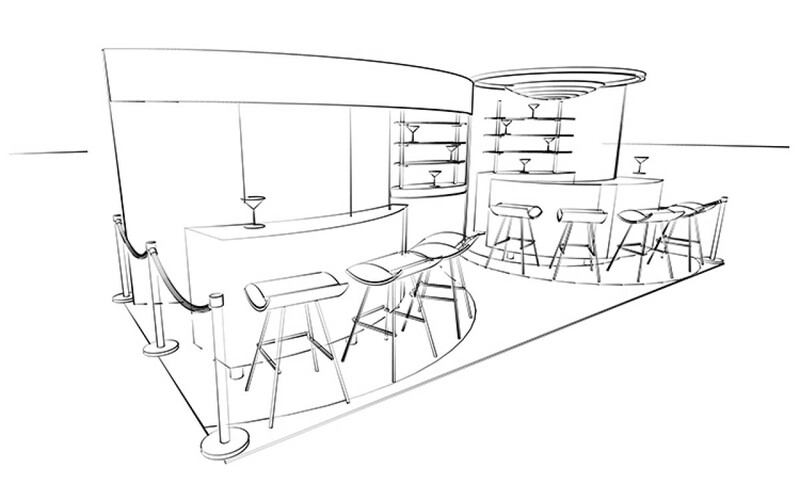 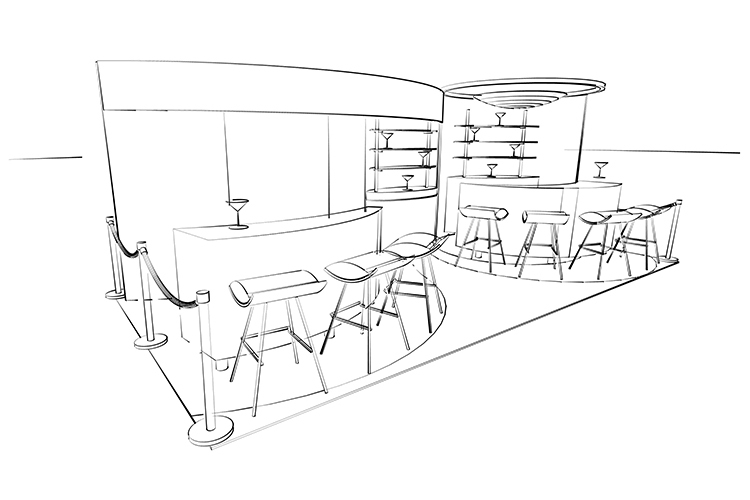 Designed as a 10’ x 20’ inline but is reconfigurable as a 10’ x 10’ exhibit.